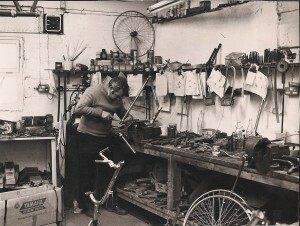 I was contacted a few days ago by Barry Dobson, as both he and Chris Davey are riding in this year’s L’Eroica Britannia and L’Eroica Italia. 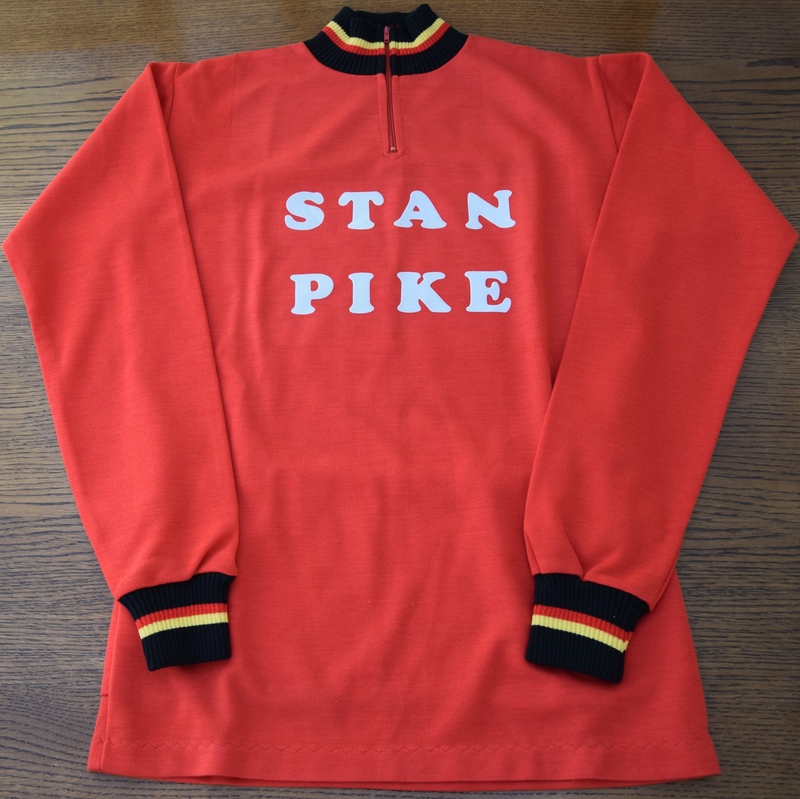 They’d been discussing the idea of getting some Stan Pike merino knitted vintage-style jerseys produced so that they look the part. 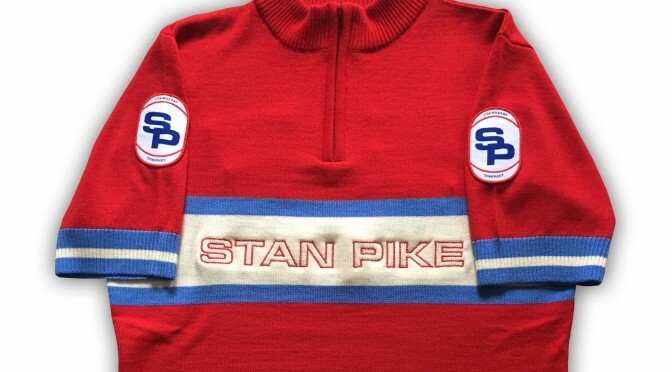 Before proceeding we’d obviously need permission from Stan’s family to use the Stan Pike name and logo. The wheels were set in motion. I contacted Stan’s son. 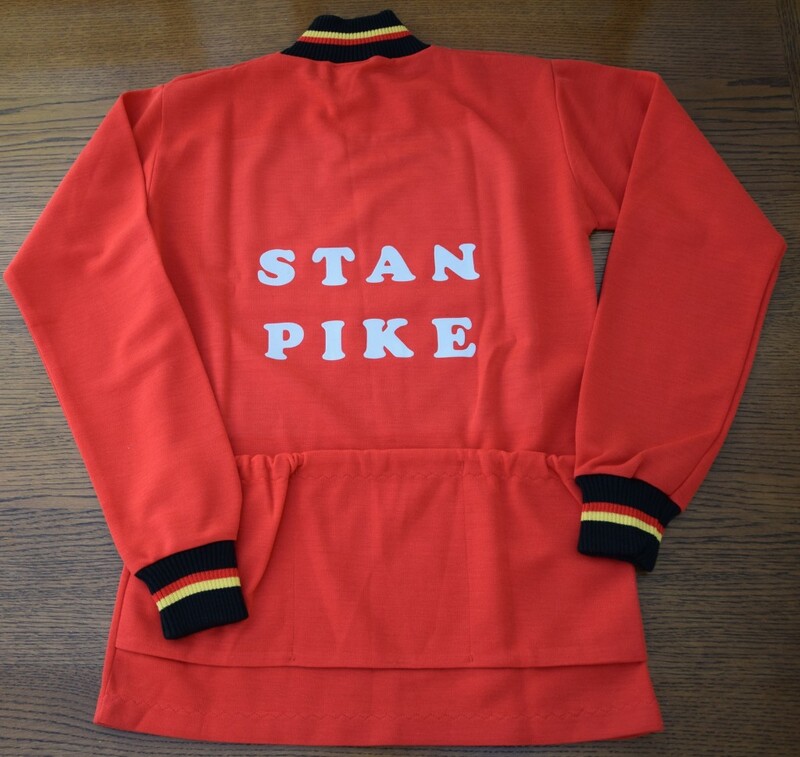 He liked the idea and sent me photos of what we think is the last remaining long-sleeved jersey. 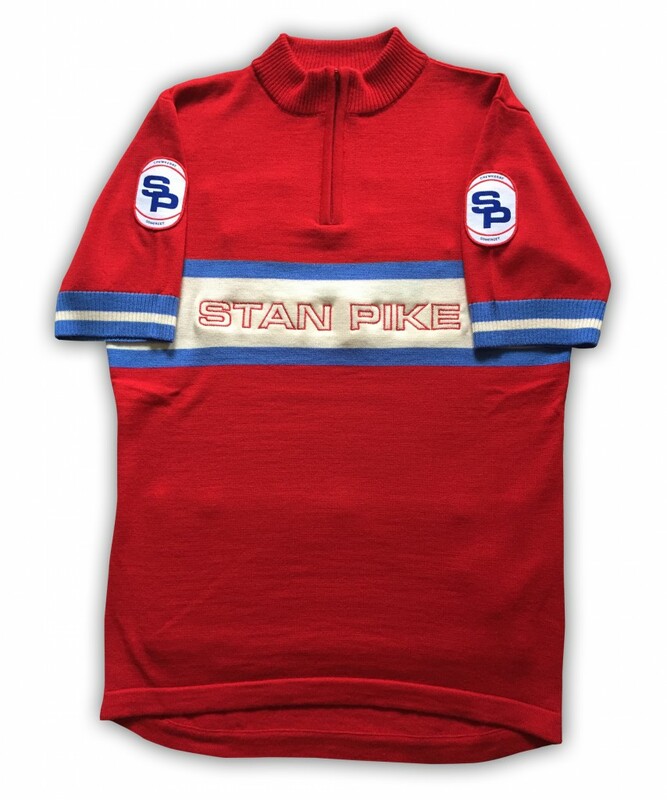 I mocked up a new design based on Jura Cycle Clothing’s short-sleeved jersey and sent it to Stan’s son for approval. He liked a lot and is happy for us to produce a very limited, not-for-profit, run. If you’re interested in getting your hands on a jersey, please click here to view the SHOP page.